Happy weekend everyone! We hope you had a wonderful Christmas. As a little thank you, we have a gift for you too. 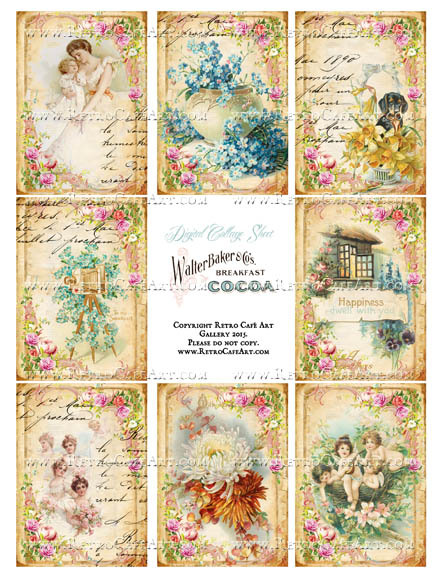 Download this FREE Dusty Attic Digital Collage Sheet HERE. 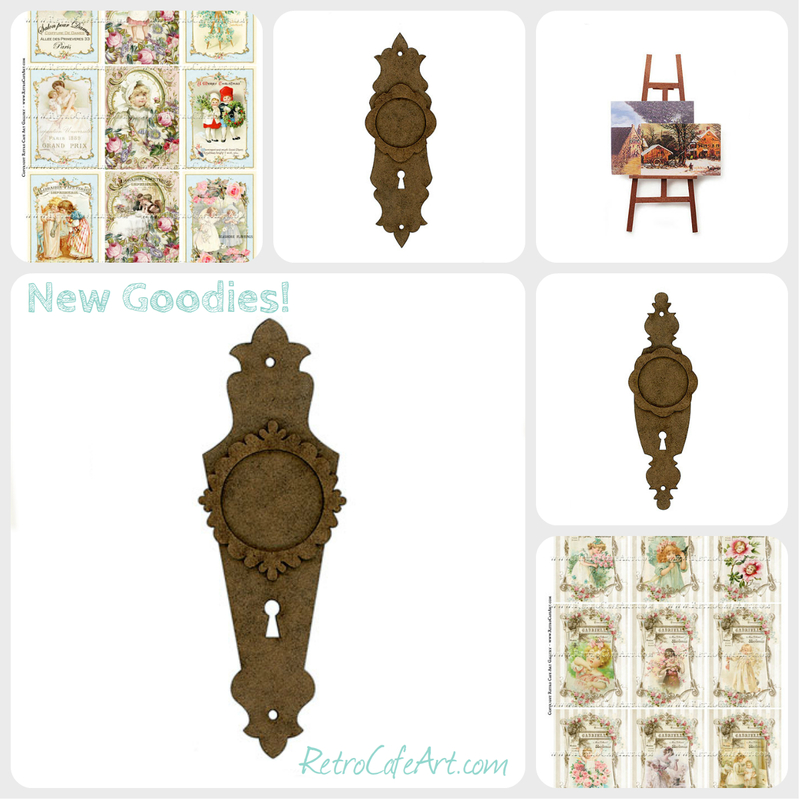 We also have some great new goodies in the shop! I've had pets on my mind lately (read below), so I decided to design some little pet trinkets. And of course I dove right in and played with them! I hope you enjoy them too. Let's celebrate those dear pets of ours! I would love to introduce you to our new sweet boy, Charlie. 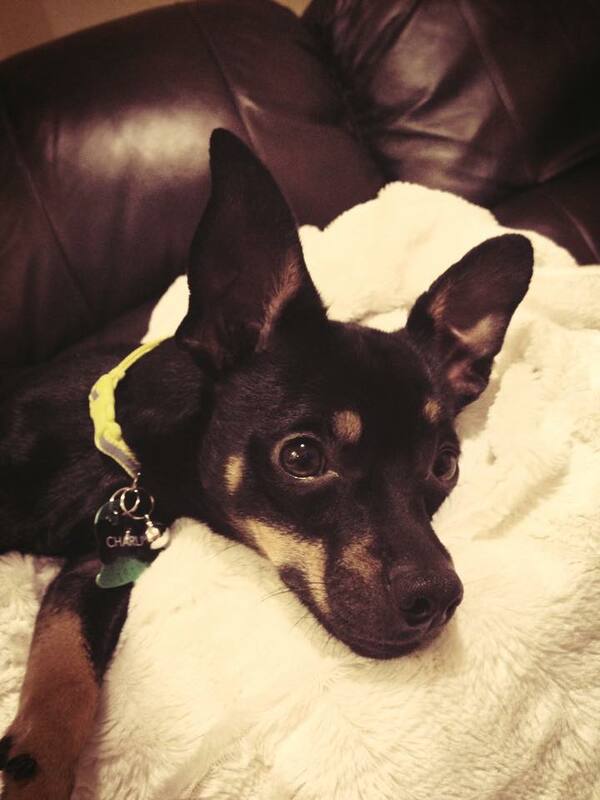 We adopted him from a pet shelter in New Castle Indiana. Due to their surgery schedule, we had to wait a month for him, which was very hard, but in the end so worth it. He finally came home this past Tuesday, and has been a perfect angel. Nothing but pure joy. He loves to play and is ridiculously smart. And he has the best, softest, most kissable ears! They just crack me up! 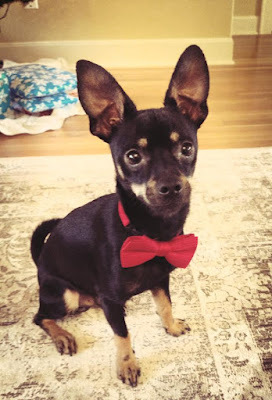 He's been the best Christmas present ever! I'm sure you'll be seeing more of him! After designing the Door Plate Frames last week, I knew I wanted to make a little Charlie keepsake. So the new Pet Trinket Cut-Outs were born! 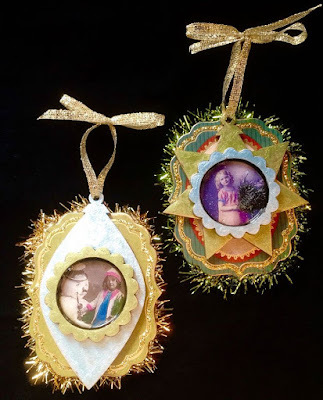 This sweet ornament was super easy to make. First I painted and inked my door plate. Next I printed Charlie's photo and name on cardstock and attached them to the frame. I filled the bezels with Diamond Glaze, added some Sharpie accents, and tied on some ribbon. 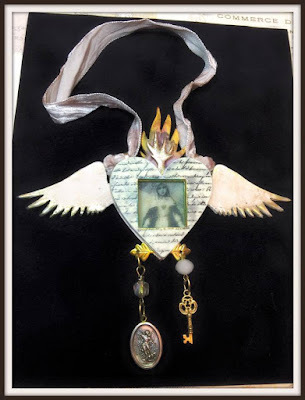 I was so delighted when I realized the Heart Skeleton Key was the perfect size. These little pet keepsakes would make awesome gifts! A gorgeous little ornament by Design Team Member Amy Nieman! How sweet is the "nest" she created, with a mini deer and nutcracker tucked in. So adorable Amy! 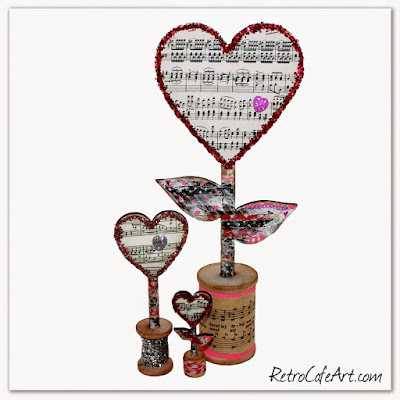 Even though Christmas is over, these bases can be used for Valentine Ornaments too! We love these sweet little tags by Design Team Member Gerri Herbst! Adding the little angels was a super idea! They will look so sweet tied to a package! So lovely Gerri! A super sweet heart ornament by Design Team Member Lynn Stevens! We love the expression on the little girl's face, and of course all the sparkle and bling! Just beautiful Lynn! Happy weekend everyone! 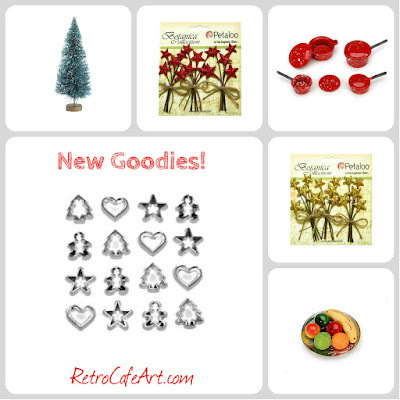 We has lots of great new goodies in the shop this week! Of course the brand new Escutcheon Door Plate Frames are my favorite. As I was designing them, so many awesome ways to art them up swirled around in my head. 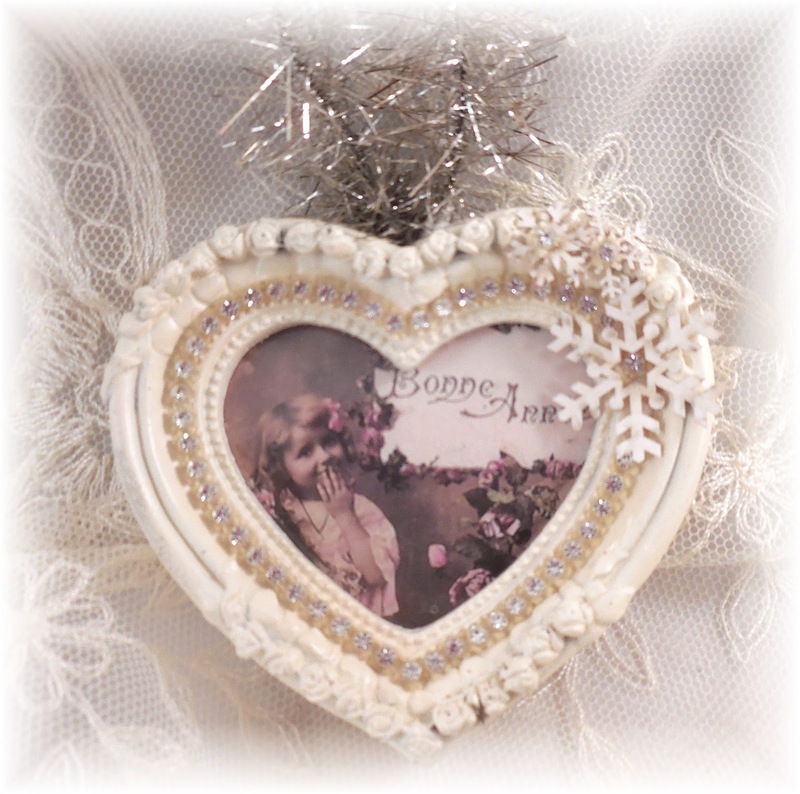 Steampunk, Valentine's Day, Shabby Chic, Christmas, you name it! I really want to make one using a photo of our sweet new pup too! I'm looking forward to seeing what you come up with! Delightful layered ornaments by Design Team Member Gerri Herbst! Aren't the images in the center just the sweetest! 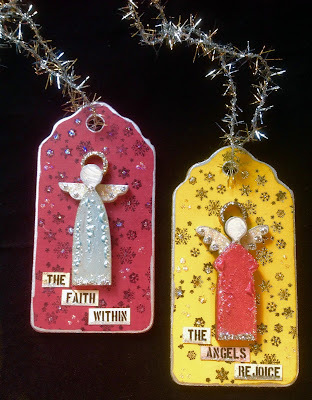 And the tinsel makes them "glow". So lovely Gerri! 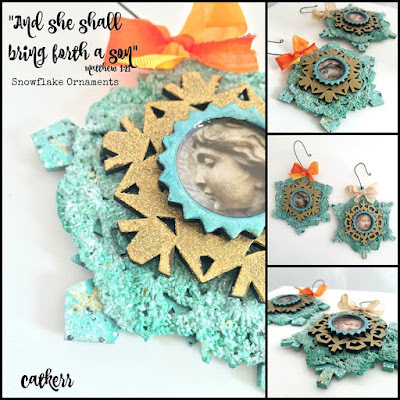 Gorgeous snowflake ornaments by Design Team Member Cat Kerr! We adore the layered look of these precious pieces! So lovely Cat! A stunning winged heart ornament by Sandra Brandt! 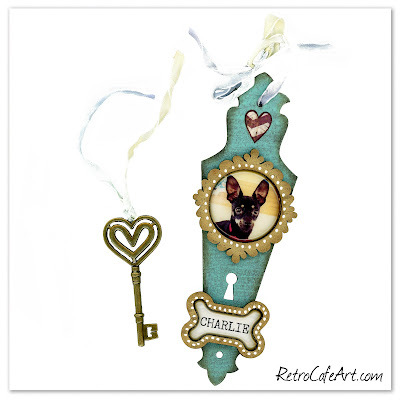 We love the beautiful charms she used, and the soft lovely ribbon hanger. 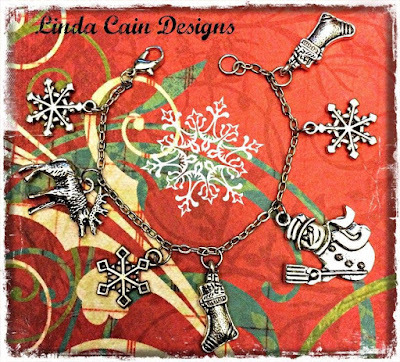 Such a gorgeous piece Sandra! Happy weekend everyone! We has lots of great new goodies in the shop this week. 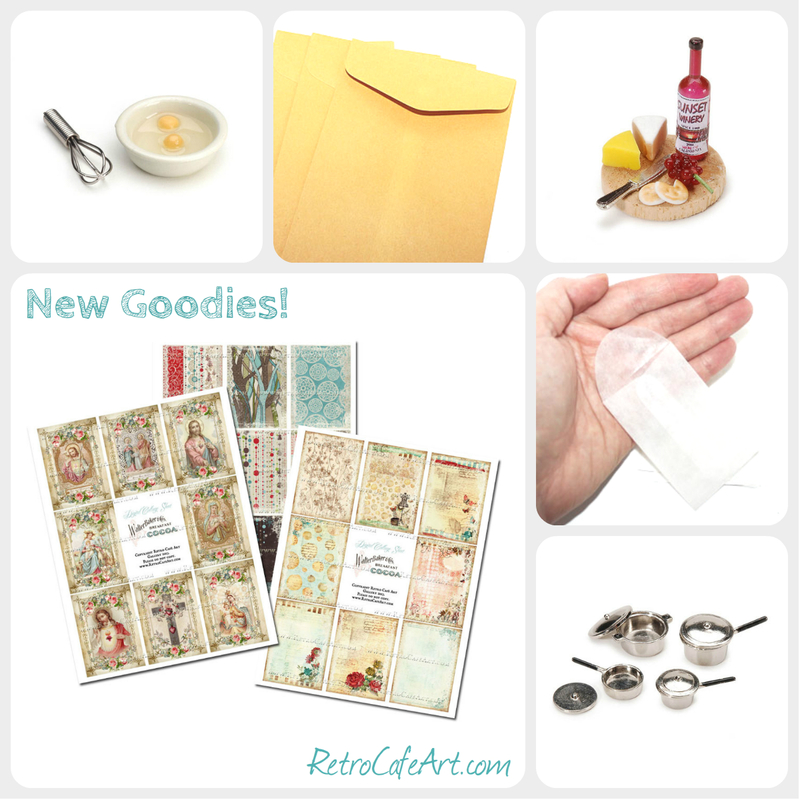 Six absolutely stunning Collage Sheets, Minis, Paper Goods, and more! The brand new Sacred Heart Collage Sheet is my favorite. It would make stunning Christmas Cards and Ornaments. 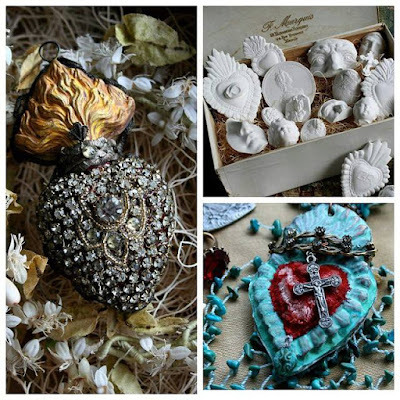 The images would look so gorgeous with a bit of Stickles and bling! Grab it in Digital format so you can get to work right away! A fantastic Christmas Town by Chrissy Colon, Part 2! Full of candy colored goodness and holiday cheer! 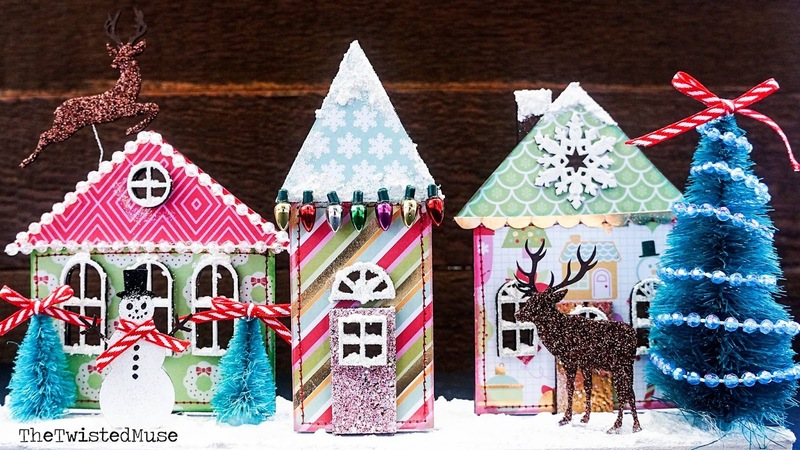 We especially love the glittery deer and mini Christmas lights! So many amazing details Chrissy! A gorgeous glittering church by Design Team Member Lynn Stevens! We love the sweet snow scene, complete with an angel watching over. 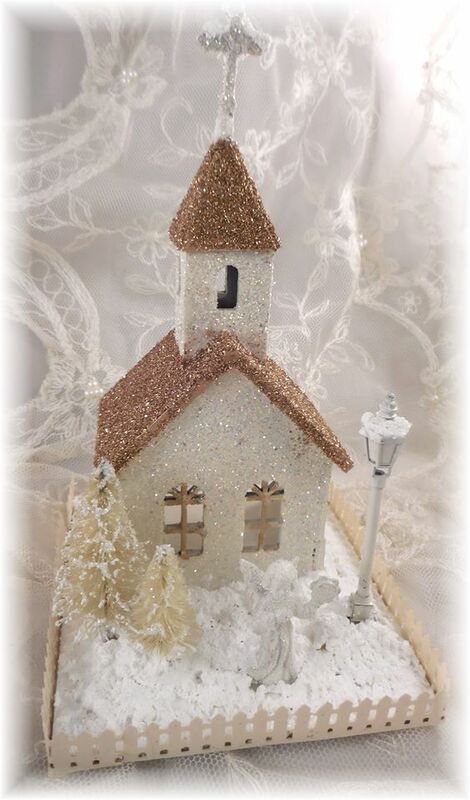 You can almost hear the church bells ringing. So beautiful Lynn! "Have You Been Naughty Or Nice", an absolute darling Typewriter Altered Art Doll by Design Team Member Gerri Herbst! We love the concept behind this sweet gal, and doesn't her face say it all? She's awesome Gerri! 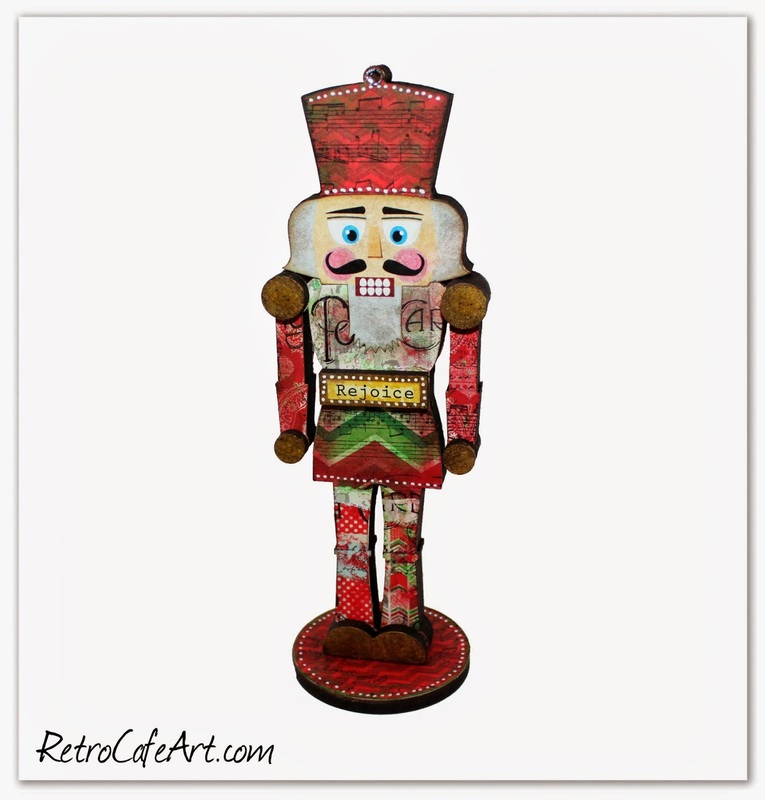 This adorable Nutcracker is one of my all time favorite Christmas projects! He looks great in traditional colors, but now I'm thinking maybe a Shabby Chic pink would be sweet too! Happy weekend everyone! We hope everyone had a wonderful Thanksgiving holiday! 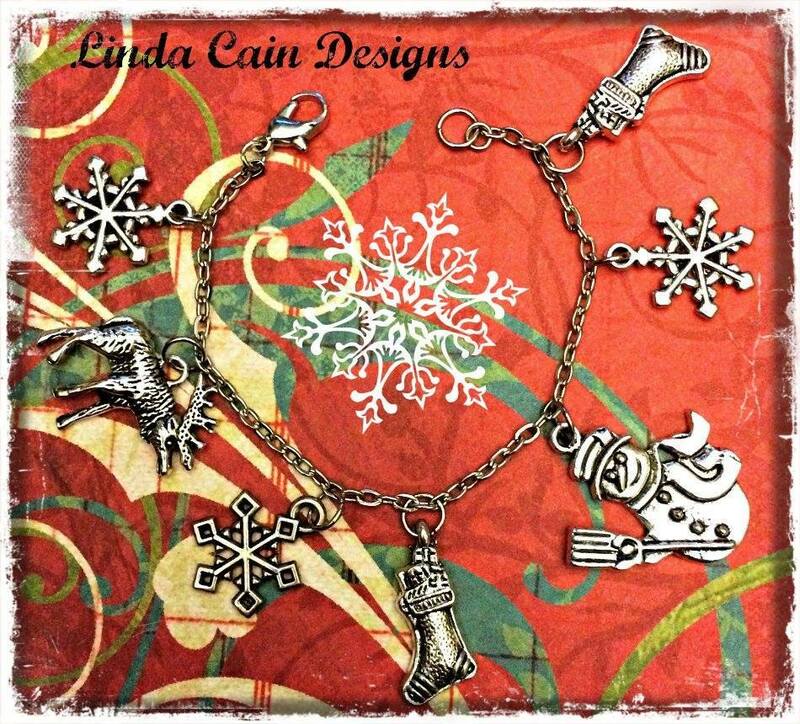 Now is a great time to start gearing up for Christmas, and everyone loves handmade gifts. And of course we have everything you need in the shop! We're loving the awesome minis that are new this week. The mini cookie cutters are just the sweetest! And those Star Picks are excellent for handmade ornaments! 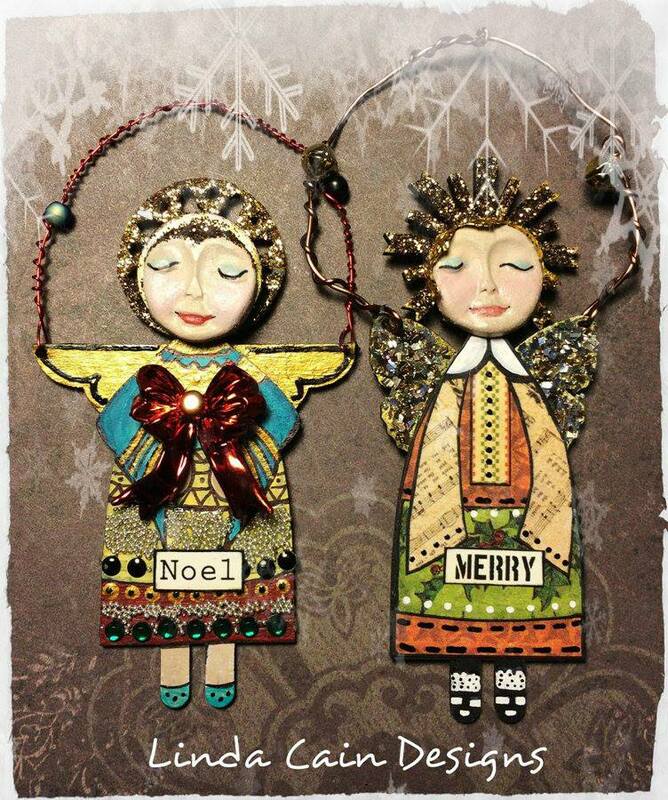 We adore these these stunning angels by Design Team Member Linda Cain! And she didn't stop at just two! 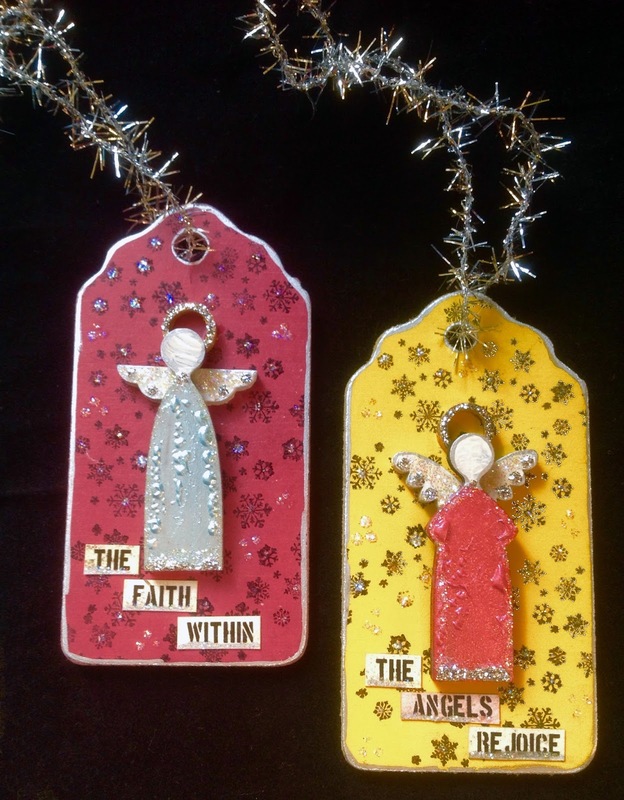 Check out Linda's blog post to see all four amazing angels, along with step-outs and supply links! So beautiful Linda! 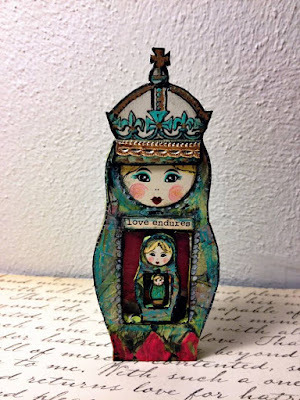 An adorable Nesting Doll by Design Team Member Amy Nieman! We love the bright, happy colors she used, and the way she dressed up the sweet face Paper Cuts. Awesome job Amy! 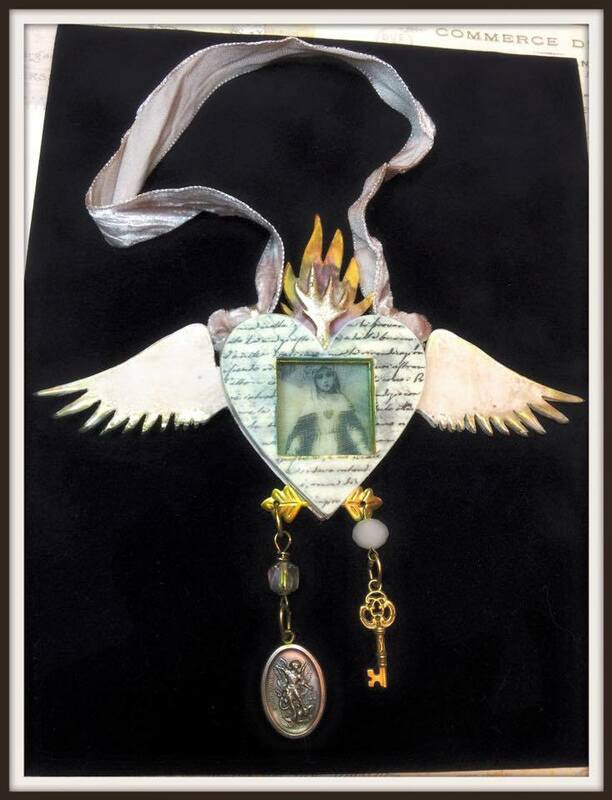 An exquisite Christmas angel by Design Team Member Lynn Stevens! We are over the moon in love with her gown and puff sleeves. She is so gorgeous Lynn! 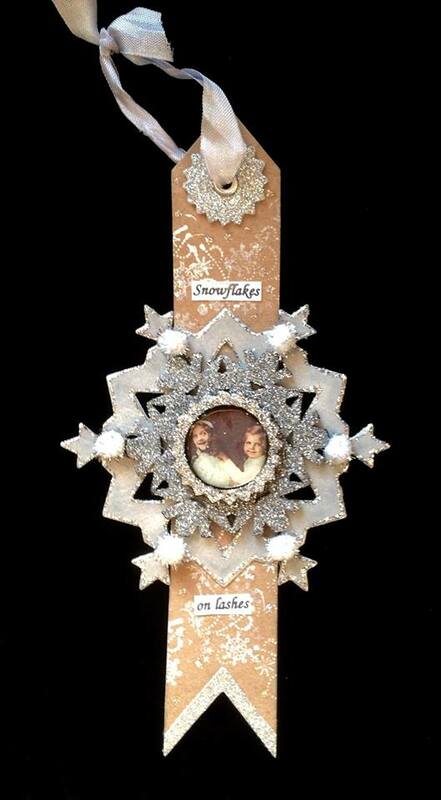 A stunning snowflake ornament by Design Team Member Gerri Herbst! Vintage pink and silver glitter is such a stunning combination. Just gorgeous Gerri! 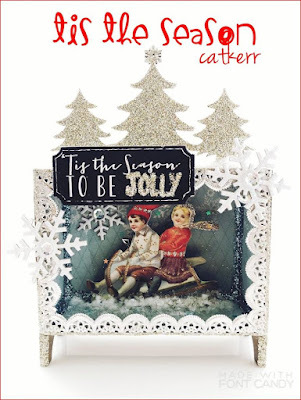 Inspiration By Cat Kerr + Congrats! 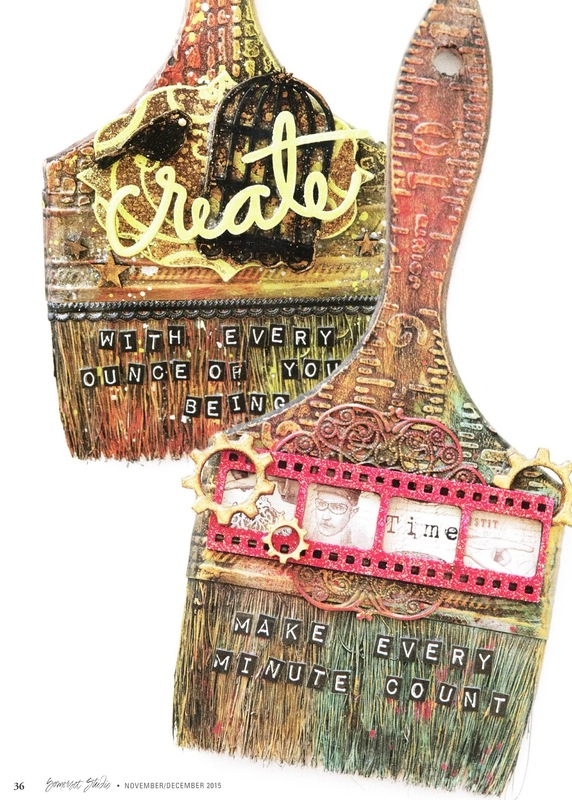 A huge congrats to Design Team Member Cat Kerr for her amazing Altered Paintbrushes featured in the latest Somerset Studio Magazine! You can find her fabulous article and more photos starting on page 36 of the November/December 2015 issue. We love how she used so many of our Cut-Outs in her fabulous pieces. Go grab yourself a copy! Way to go Cat!